John Kenneth Galbraith became a leading scholar and arguably the most famous economist in the second half of the twentieth century. His views are a severe criticism of the modern society that upholds personal achievement and material well-being over public interest and needs. John Kenneth Galbraith was born on October 15, 1908, in Iona Station, Ontario, Canada, on the shores of Lake Erie, to a farming family of Scotch ancestry. His father, William, was involved in the politics of their community, supporting a liberal (open to change) view, and started bringing William to political rallies when he was about eight years old. His mother died before William, his brother, and his two sisters were in their teen years. at the Ontario Agricultural College (then part of the University of Toronto; now, the University of Guelph) and graduated with honors in 1931. He went on to study agricultural economics at the University of California, receiving his doctorate in 1934. That same year he also began his long, though frequently interrupted, teaching career at Harvard University, where he eventually became an emeritus (a person who is retired but retains their title) professor. Galbraith's academic career frequently gave way to public service. He worked in the Department of Agriculture during the New Deal (President Franklin D. Roosevelt's [1882–1945] plan to help the United States recover from the Great Depression, a time of severe economic hardship in the 1930s) and in the Office of Price Administration and Civilian Supply during World War II (1939–45; a war between the Axis: Germany, Italy, and Japan—and the Allies: England, France, the Soviet Union, and the United States). From his wartime work emerged The Theory of Price Control (1952), which, though not widely influential, contained some of the ideas of his major works. 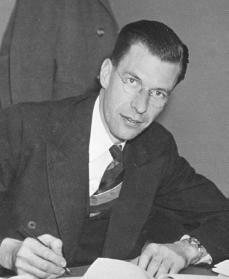 After the end of the war in Europe, Galbraith worked with the Office of Strategic Services directing research on the effectiveness of the Allies' bombing of Germany. In 1947 he was one of the liberal founders of the Americans for Democratic Action. After working prominently as a speech-writer in the presidential campaigns of Senator Adlai Stevenson (1900–1965), Galbraith went on to chair the Democratic Advisory Council during Dwight D. Eisenhower's (1890–1969) Republican administration. In 1956 he visited India, where his fascination with the country inspired his later works. He campaigned for President John F. Kennedy (1917–1962), and after Kennedy's victory he was named U.S. ambassador to India in the early 1960s. An outspoken critic of U.S. involvement in Vietnam, he campaigned on behalf of the presidential campaigns of Senators Eugene McCarthy (1916–) in 1968 and George McGovern (1922–) in 1972. Later he worked in the campaigns of Congressman Morris Udall (1922–1998) in 1976 and Senator Edward Kennedy (1932–) in 1980. Galbraith's major intellectual contributions lie in the trilogy (a series of three works that are related to one another, yet can stand on their own): The Affluent Society (1958), The New Industrial State (1967), and Economics and the Public Purpose (1973). Other than his main trilogy, and perhaps The Theory of Price Control, Galbraith's American Capitalism: The Concept of Countervailing Power (1952) stands out in importance. This book solidified Galbraith's position as a continuing spokesperson for the New Deal perspective in economics. Along the way Galbraith published over twenty other books, including two novels, a coauthored book on Indian painting, memoirs (writings about one's personal experiences), travelogues (writings about travel), political essays, and several books on economic and intellectual history (the study of how creative thinking has influenced human development). He also collaborated (worked together) on and narrated (was the voice for the commentary) a Public Broadcasting System (PBS) television series, "The Age of Uncertainty." Galbraith's breakthrough as a best-selling author came with The Affluent Society. It examined the need of prosperous societies to use and produce more and more goods. The widespread attention guaranteed some hearing of his opposing ideas in the economics profession. Indeed, he was eventually honored with the American Economic Association's respected presidency. In The New Industrial State Galbraith expanded his examination of the role of power in economic life. The New Industrial State not only provided Galbraith with another best-selling book, it also extended once again the currency of Institutionalist (the effect that institutions have on the economy) economic thought. The New Industrial State gave a convincing explanation of the power structure involved in generating the problems in the 1960s of economic, social, and environmental cost of corporate monopoly powers, and thus found a very receptive audience among the rising Americans who opposed traditional standards and political activists. Economics and the Public Purpose, the last work in Galbraith's major trilogy, continued the characteristic insistence on the role of power in economic life and the inability of conventional economic thought to deal adequately with this power. After the years Galbraith served in both the American and Canadian governments, he returned to scholarly activity, extensive travel, and writing, using Harvard University as his home base. On August 9, 2000, President Bill Clinton (1946–) awarded a Presidential Medal of Freedom to Galbraith. The medal is the highest civilian honor and may be awarded only by a U.S. president to individuals who have made contributions "especially meritorious [something that should be honored or praised] to the security or national interests of the United States, to world peace or to cultural or other significant public or private endeavors." Galbraith, John Kenneth. A Life in Our Times. Boston: Houghton Mifflin, 1981. Galbraith, John Kenneth. The Essential Galbraith. Edited by Andrea D. Williams. Boston: Houghton Mifflin, 2001. Gambs, John S. John Kenneth Galbraith. Boston: Twayne Publishers, 1975. Sasson, Helen. Between Friends: Perspectives on John Kenneth Galbraith. Boston: Houghton Mifflin, 1999.